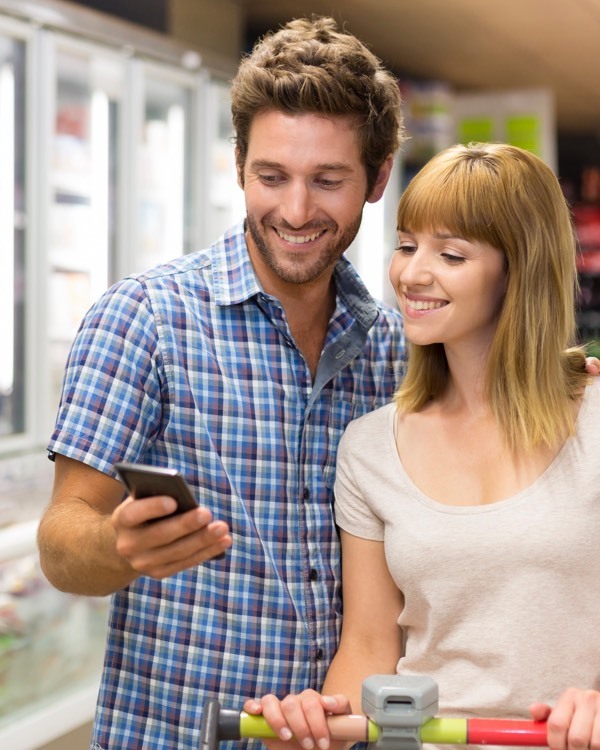 Offering mobile self-scanning and mobile self-checkout has never been that easy. Increase throughput and lower checkout costs with our Scan & Go technology. snabble allows your customers to scan products and pay securely with their smartphones. We created the snabble app so customers don't need to download an app for every retailer, but of course the snabble features can be implemented into your own app with ease. And if you don't have an app yourself but would like to have one, we offer a whitelabel app that can be customized to your needs. What can we do to improve on convenience? What we always came back to was people don’t like waiting in line. That’s what snabble solves for every retailer. Without investing hundreds of thousands of dollars in cameras for every store. We use technology that’s already available to you, brought in by your customers: their smartphones. With the snabble app your customers scan their items before putting them in the cart. There’s no need to wait in line or put items on the belt. Customers pay right inside the app and – upon your approval – leave the store. Product information is stored within the snabble app, so there’s no need for WiFi coverage in your store. Updates to your data are automatically detected and downloaded over night, after an algorithm detected which bits and bytes have changed, so the downloaded data stays as small as possible. Having control over the checkout process is fundamentally important. 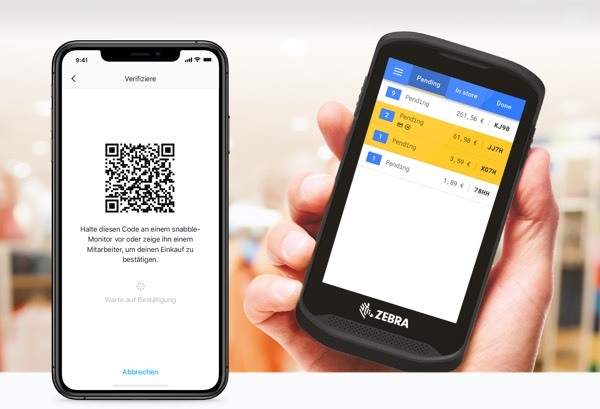 Based on the customer’s level of trust and machine learning security algorithms, our software will tell your employees which customer to control at checkout – with our Checkout Supervisor web-app. This can mean visual control or re-scanning a certain amount of items in the customer’s cart. 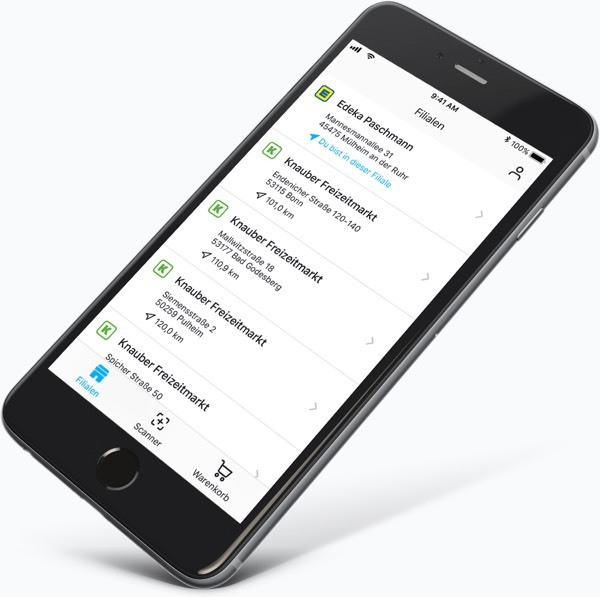 The Checkout Supervisor app is optimized – and configurable – for minimal interaction and maximum security. 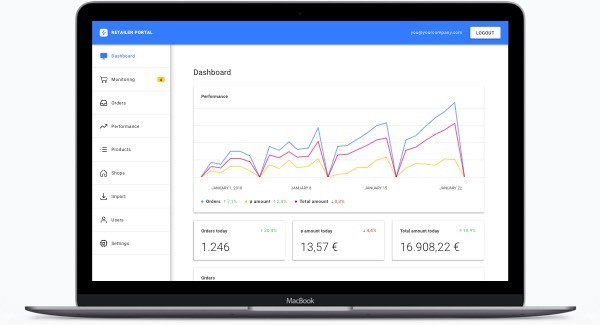 We’ve already begun to implement performance charts, so you can see firsthand how your customers shop with snabble and learn more about your customers. The features of snabble aren’t exclusive to the snabble app. Do you already have your own app and would like to implement the scanning and checkout features of snabble? That’s where our SDK comes in handy. It offers access to all of our core features and is easy to use by your developers. Have them take a look at our code and documentation on GitHub. Don’t worry about buying and maintaining servers. All of snabble is hosted in the cloud and offered as a service. That means we will constantly maintain the software so you don’t have to. It just works. And thanks to our smart compression technology even the product data is stored right inside the app so you don’t have to have extensive WiFi coverage in your store. How do you handle promotions? We already support fundamental promotions like discounts. We’re looking forward to implement more as soon as possible. Can you integrate orders in our pos system? While we have already done this, it depends heavily on the pos system you use. Let’s get in touch and see how we can make this possible. Which payment methods does snabble support? Cash, girocard, SEPA direct debit, MasterCard, VISA and any other payment service you’d like to use. Do my stores need to have complete WiFi coverage? No, but having free WiFi in the checkout area is recommended. Our app doesn’t need to transfer much data at all. How do you know in which store the customer is? By getting the geo-location from the user’s device and matching it with the location inside your store by using iBeacon technology. How do you prevent shoplifting? 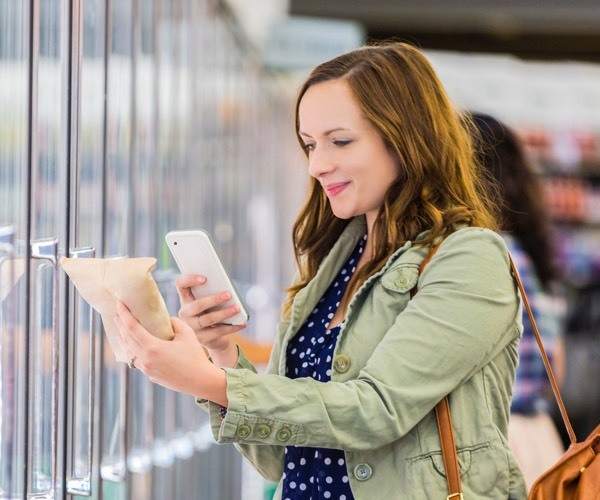 By using smart algorithms and our checkout supervisor app. We would be happy to tell you more. All data is stored inside the Google Cloud Platform, an infrastructure secured by the world’s leading experts. Does snabble work in my country? Yes. If there’s no partner in your country yet we’d be glad if you’re the first.